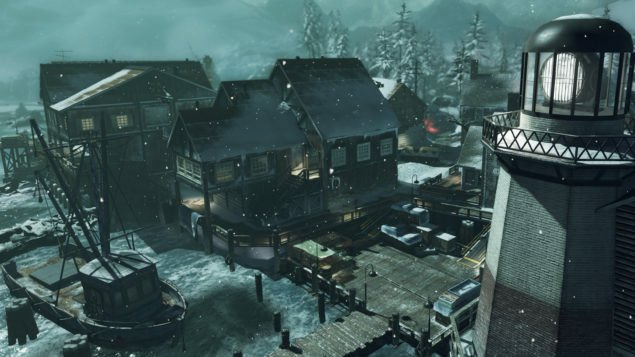 Infinity Ward executive producer, Mark Rubin discussed the resolution issue of Call Of Duty: Ghosts on next-gen consoles in several interviews. Rubin had previously confirmed the rumors that PlayStation 4 will get Call Of Duty: Ghosts on native 1080p while Xbox One version of the game will be running at 720p originally, and would be upscaled to 1080p. Since the announcement of new title in Call Of Duty franchise, Call Of Duty: Ghosts have been greatly discussed on the web. Form its development to its release, the game has made the front page many times, it has been criticized as well as praised. Of course the reason behind this huge hype is that this is the first Call Of Duty game that has been released on the current generation consoles and is also set to release on the most awaited next generation consoles. 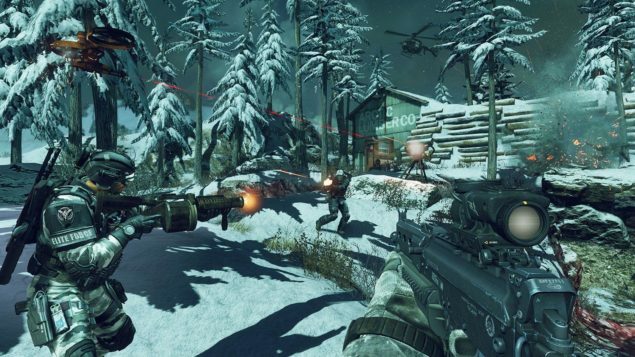 Previously, Infinity Ward’s executive producer Mark Rubin confirmed the rumors concerning the resolution of Call Of Duty: Ghosts on next-gen consoles. He made a confirmation tweet that the PS4 version of the game is full HD and runs on 1080p native while the Xbox One version has been upscaled to 1080p from 720p. Since then, Infinity Ward and Microsoft both are having a hard time explaining to the players that what has been done is for the best. Rubin told Eurogamer, in an interview, the cause that made Call Of Duty: Ghosts 720p on the Xbox One. “There’s no particular cause”, said Rubin. “Early on, we didn’t know where exactly the resolution of anything would fall because we didn’t have hardware or the software to support it. We tried to focus in on 1080p, and if we felt like we were on borderline of performance somewhere… We tried to make the best decision for each platform that gives you the best-looking game we could get and maintains that 60 frames a second”. Rubin continued on describing what didn’t make it possible for the Xbox One. Rubin said that Call Of Duty: Ghosts was also native 1080p on the Xbox One, until last month, when Xbox One was not able to take the game to 60fps on 1080p, to keep the frame rate smooth, the game was transferred to 720p for the console, Just because Infinity Ward wanted to create a game that would look good on both of the consoles. Why Is Call Of Duty: Ghosts Native 1080p On PS4 and 720p On Xbox One? He further said, “There’s no maliciousness, there’s no specific reason why one’s 720p, one’s 1080p,” he said. “That’s just the way the optimization came out to. To keep a smooth frame rate we needed to be 720p on Xbox One. That being said, it is being upscaled to 1080p, so it is outputting 1080p on your TV, and for the most part the game does look really good. Some people actually think the textures look a little bit nicer maybe on Xbox than they do on PS4”. Call Of Duty: Ghosts will be getting its DLC content first on Xbox One but that does not mean Microsoft could overcome the resolution problem just with this, agreeably this was the first time for Infinity Ward to handle something bigger than they thought. Rubin said that “Call Of Duty: Ghosts is the hardest game we’ve ever build by far” but still this would not be enough to satisfy the players that were planning to go with the Xbox One on the launch. Microsoft should start making improvements and enhancements in the launching plan for Xbox One.